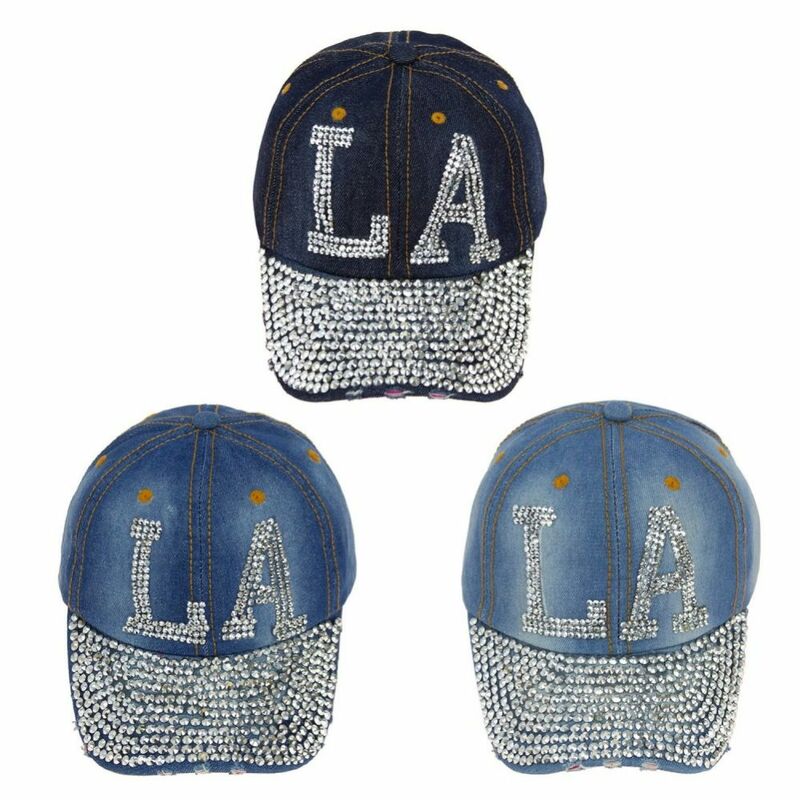 These wholesale adjustable LA jewel rhinestone bling studs jean baseball cap comes in 3 different shades. These unique rhinestone denim baseball hats are the perfect women's fashion accessory. This unstructured, adjustable ball cap is high quality and durable with soft cotton to ensure it fits comfortable on the head.